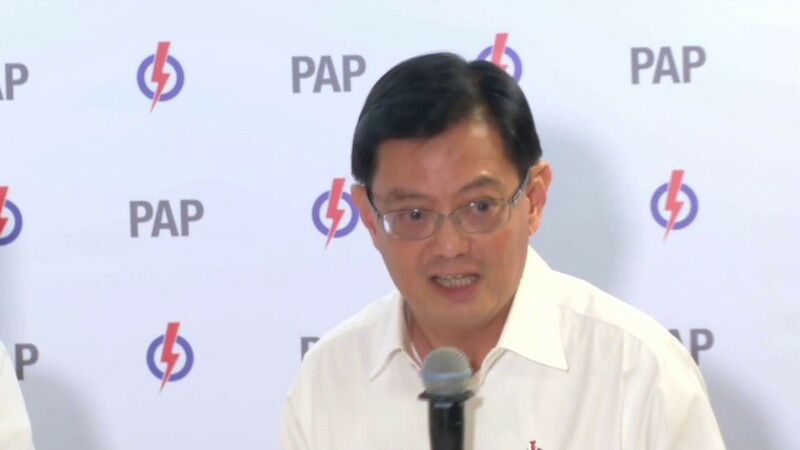 Finance Minister Heng Swee Keat said yesterday that lease decay does not mean that Housing & Development Board (HDB) flats will have zero dollar value when HDB dwellers turn 85. Speaking yesterday (March 19) at the annual conference of real estate agency PropNex, Heng tried to allay recent concerns about HDB lease decay by using the example of a 25-year-old Singaporean buying a new 99-year-lease HDB flat. Pointing out that 85 is the life expectancy of Singaporeans, he said that the 25-year-old’s flat will have more than 30 years of lease left when he or she turns 85. Heng was responding to a question from PropNex chief executive officer Ismail Gafoor on the lease decay issue of HDB flats, which has become “very much political”. Besides trying to allay concerns about lease decay of HDB flats, Heng also dismissed criticisms that HDB dwellers are merely tenants, not owners. There are over 300 comments to Today Online’s report on Heng’s speech at Propnex’s annual conference in their Facebook (FB). Most FB users who commented on the report refused to believe that lease decay will not have an impact on the value of their HDB flats. Other users besides questioning what will be the actual value of a flat which has 30 years of lease left be, also asked how much home loan they will be able to get on such a HDB flats. One FB user, referring to the possibility that Heng is the Prime-Minister-designate of Singapore, suggested that his comments only shows that Singaporeans are in deep trouble. Most owners of older HDB flats have now come to accept that the value of their 99-year-leasehold property is not going to keep on increasing forever and ever – one major reason for this being the revised CPF rules. There are several government policy restrictions which suppresses the attractiveness of older HDB flats for buyers. Minister for National Development, Lawrence Wong, said in Parliament on March 7 that the Government intends to relax CPF rules for the purchase of older resale HDB flats. Speaking at the 2019 Committee of Supply Debate in Parliament, Wong acknowledged that the revised CPF rules for purchase of older resale HDB flats may have disadvantaged owners of such flats. A report by Credit Suisse released in September last year, said that private apartments are a better store of value than HDB flats. The report pointed out that an established collective sale process for owners of private apartments accentuates the difference as to why these are better store of value to HDB flats. “We believe it will likely take some time for residents to understand the evolving narrative on the nature of HDB flats — from one where HDB flats are a good store of value and attractive investment class that will continue to appreciate, towards one where we are likely to see a steady diminution in value as we approach the end of the 99 year lease, following which the flats will revert to the government,” said Credit Suisse research analysts Louis Chua and Nicholas Teh. Can I use CPF for a Property with Less than 60 Years Lease remaining? The Credit Suisse report pointed out the gaps in the government’s assertion that Housing and Development Board (HDB) flat is a “good store of asset value” and the uncertainty over Voluntary Early Redevelopment Scheme (VERS). The report further noted that “critical details” of VERS, particularly relating to compensation, were missing at the introduction of the scheme and said that a a key concern was that VERS is “not applicable” to the entire existing HDB stock of about 1 million units today. Owning a private apartment is a common aspiration in Singapore. Or a sign that you’re one of the ‘miserable lot’ with a household income of, say, $12,001 a month – then it’s your only option because you can’t buy a HDB flat. Well don’t panic! Whether you are looking for a new home loan or to refinance your existing one, our Mortgage brokers can help you get everything right from calculating mortgage repayment, comparing interest rates all through to securing the best home loans in Singapore. And the good thing is that all our services are free of charge. So it’s all worth it to secure a loan through us. The post Lease decay does not mean that HDB flat will have $0 in value, Heng appeared first on iCompareLoan Resources.